Over the past few weeks, our blog has been chock full of food tips and biomarker-friendly recipes for National Nutrition Month. This week, I thought it was important to shift our focus to a nutrition-related topic that probably doesn't get the attention it should, especially in the world of endurance sports: eating disorders – specifically, the challenges to performance they present, and of course, recovery from them. In this video interview, I'm joined by the amazing Sarah Canney. She's a marathoner, coach, mom, InsideTracker power user, and advocate for eating disorder recovery. 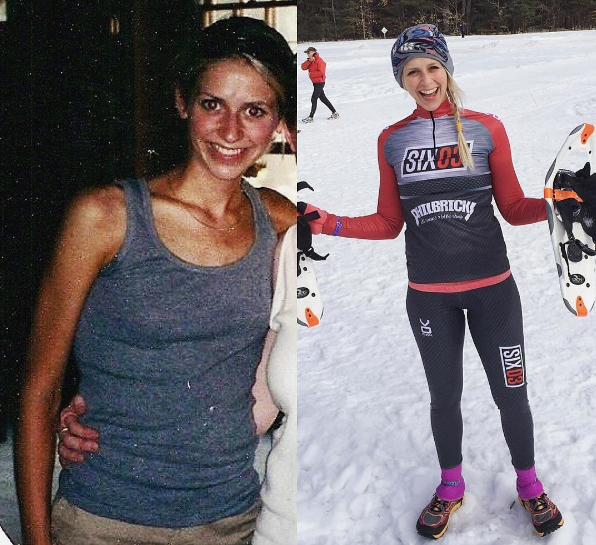 Sarah opened up about her own nine-year-long struggle with anorexia and bulimia, how it affected her performance and quality of life, and how she used InsideTracker to get a better handle on what her body was really trying to tell her. She now eats healthy fats like avocados, and consumes 2-3 times the amount of calories than while she was struggling with bulimia – yet she weighs less, performs better, and is happy and healthy.